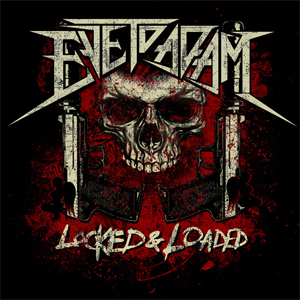 EVE TO ADAM Ready To Be "Locked & Loaded"
It's looking like for the remainder of 2014, EVE TO ADAM will have a jam-packed schedule. First up, on Tuesday, May 27th, the band will issue their brand new single, "Locked & Loaded", to all DSP's (with the track doing to radio the following month). And EVE TO ADAM will hit the road hard throughout the summer, including prime slots at major festivals throughout the US. Comprised of members Taki Sassaris - lead vocals, Gaurav Bali - lead guitar, Adam Latiff - rhythm guitar/backing vocals, Aaron Baylor - bass/ backing vocals, and Alex Sassaris - drums, EVE TO ADAM is coming off a major breakthrough, as they cracked the Mediabase Active Rock Top 15 Charts, and recently premiered their official video for the tune "Immortal". 6.07 @ Six Pence Pub in Parkersburg, W Va.